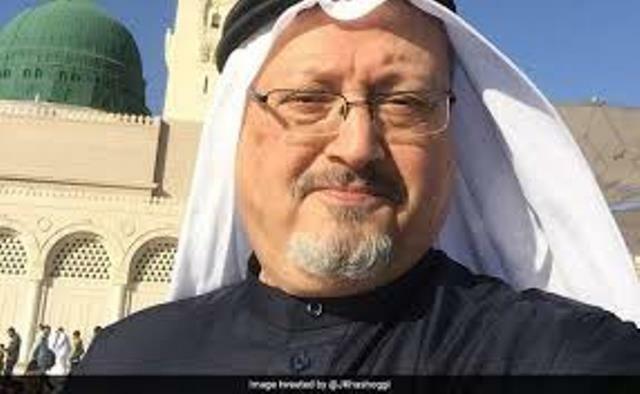 Riyadh, Oct 25 : Saudi Arabia, in the latest reversal in its version of how Jamal Khashoggi was killed in Turkey, said on Thursday that the death of dissident journalist had been “premeditated”. Saudi officials last week said that Khashoggi, a supporter-turned-critic of Crown Prince Mohammad bin Salman, was killed “accidentally” in a fist fight at the kingdom’s consulate in Istanbul by “rogue” agents. The Thursday’s announcement was made by Saudi public prosecutor through the state-run news media. According to the Saudi Press Agency (SPA), the prosecutor said the conclusion was based on new information received from a joint Saudi-Turkish investigation taking place in Turkey. The Saudi Foreign Ministry said the prosecutor will continue investigation based on the new information. Shortly after the Washington Post columnist disappeared on October 2 after entering the consulate in Istanbul for paperwork, Turkish authorities said he was killed in a “premeditated” attack by 15 Saudi agents sent to Turkey with the purpose of killing him. They said that Saudi agents killed Khashoggi in minutes and then dismembered his body with a bone saw for disposal. Saudi Arabia initially denied any knowledge of Khashoggi’s fate, but later said it had arrested 18 people and dismissed five officials after a preliminary investigation revealed he was killed in the consulate during a “botched intelligence operation”. Turkey had rejected the Saudi’s description of the “accidental death” and pressed it to concede Khashoggi was deliberately targeted. The kingdom’s narrative was also questioned by US President Donald Trump. “We have maintained since the beginning that the Khashoggi murder was premeditated,” a senior Turkish official told The Washington Post shortly after the Saudi announcement. The New York Times said that the Turkish officials leaked to the news media the names of the men on the Saudi team as well as photos of them arriving at the airport and moving around Istanbul. The Turkish media also released photos this week of a Saudi “body double” wearing Khashoggi’s clothes and walking around Istanbul shortly after his death. Khashoggi’s body has not been found yet. Meanwhile, the SPA said that the Crown Prince chaired the first meeting of a committee to reform the state’s intelligence services, which was set up following Khashoggi’s death. Saudi Arabia’s announcement came after the US’ CIA Director Gina Haspel heard audio recordings purportedly of Khashoggi’s interrogation and murder while she was in Turkey. Is Asaduddin Owaisi really fighting for Indian Muslims?